Dine and drink your way through New Orleans like a true insider with our curated culinary experience, Flavor by Loews Hotels. New Orleans has character like no other. And flavors you won’t find anywhere else. Get an authentic taste of the best right here at Loews with Flavor New Orleans. We’ve partnered with the most-loved hyper-local culinary and beverage artisans so you can experience the authentic Big Easy, bite after bite, sip after sip. Even better? You can have it all without ever taking step off property. Its name translates to “small gelato shop” – but this spot has a huge heart. Husband and wife owners Ross and Ria Turnbull serve everyone as if they’re family, which has turned Piccola Gelateria into something of a cult sensation in downtown New Orleans. Masters of their craft (the Turnbulls both attended Art of Gelato training in Europe), they make authentic Italian-style gelato and sorbetto, as well as Italian espresso, crepes and piadina (flatbread sandwiches). Get your taste here at Café Adelaide. Here, baking is a craft. And it’s one done by honoring traditional methods and flavors. To wit: Bellegarde has the only stone flour mill between Asheville and Arizona, and it’s the only company in the world, besides Tabasco, to use natural Avery Island Louisiana salt. 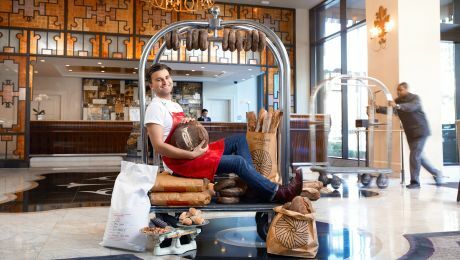 Its breads are made using whole grains grown in the region; beyond that, it’s simply filtered water, leavening and lots of passion. You won’t taste anything else like it. See for yourself at Café Adelaide. New Orleans is home to America’s oldest operating rum distillery. Called Celebration Distillation, it’s where the makers of Old New Orleans Rum have been distilling for over 20 years. 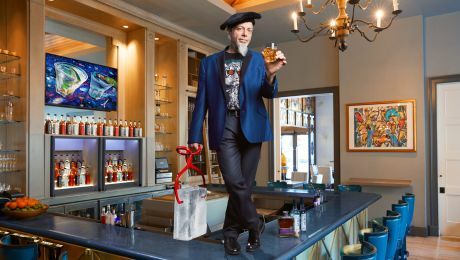 Credit goes to local artist James Michalopoulos, who seeks out the best local ingredients and makes sure things are done the old-fashioned way – even the bottles are corked and sealed by hand. The best known variety is Crystal Rum, made from Louisiana molasses. Taste it straight or in the Gingeroo, a bottled carbonated cocktail that also includes local sugar cane, cayenne and freshly juiced ginger. Raise a glass here at Café Adelaide.